No, breast milk can't cure it. The rainy season is the perfect time to cuddle, sip coffee all day long, and acquire sore eyes. Wait, what? Yes folks, getting conjunctivitis a.k.a. sore eyes is more common at this time of the year thanks to the humid weather that aids the spread of viruses and bacteria. But you knew that already, didn't you? 1. You'll get sore eyes just by looking into the eyes of someone who has it. 2. Breast milk and urine can cure it. 3. 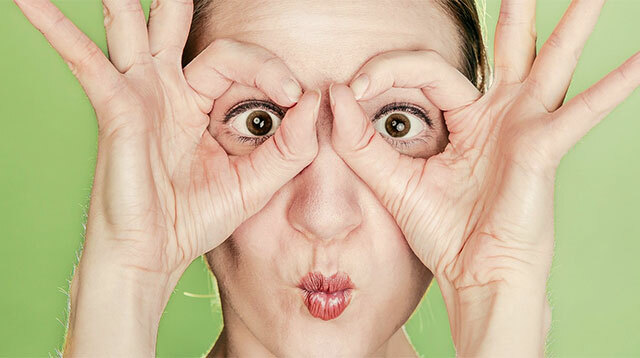 Sore eyes can cause permanent blindness. 4. Wearing sunglasses will help cure the infection faster. 5. Pouring a ton of eye drops will help it heal faster.